May your family and department feel Gods comfort. Thank You for your service. R.I.P. Sir. I am sorry for your loss to the Family, Fellow Officers, Friends. I will keep you all in my prayers. RIP. A police officer should be remembered not by how he died, but how he lived! A great man has gone to secure a safe path for the rest of us to follow. Thank you to you, your family and the North Las Vegas Police Department. Our country is a little less safe without you. Rest in Peace Brother! R.I.P Detective Parque, may God Bless your family and fellow officers. Thank you for your service, Officer Chad. May God bless and protect and guide your sad family. He will comfort them and help them. You will be missed by your loved ones and community. Thank you for your light while on earth. Love from Colorado Springs. 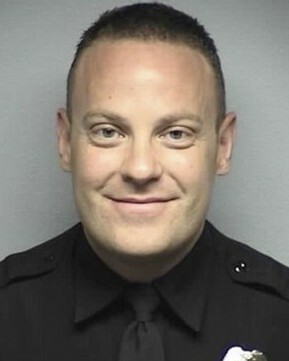 On behalf of the Westerville, Ohio Division of Police, our thoughts and prayers are with the immediate family of Detective Chad Parque and the extended law enforcement family of the North Las Vegas Police Department, Nevada. End of Watch: Saturday, January 7, 2017. Rest in peace brother and thank you for your service. I'm sorry for your family's loss and may they find solace from their loved ones and your fellow brothers and sisters in blue. Rest in peace Detective Parque! Rest in Peace Det. Parque. Thank you for your service. My thoughts and prayers are with the Parque Family and the North Las Vegas Police Department. children, siblings and fellow Officers. City of Fond du Lac, Wi., Police Dept. Rest In Peace. My condolences to your family and Department. Rest in peace Brother Chad, you are a true Hero and will never be forgotten for your service and courage.